I was winterizing my RV and pushed on the check valve in the city fill to let the antifreeze out but the antifreeze kept flowing out. I had to run and turn the pump off. Is the check valve broken now or did it snap out of place? If it is broken, can I just replace the valve? 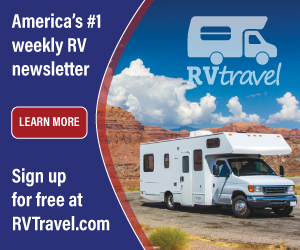 It’s a brand new RV! Kim, chances are the check valve return spring simply did not allow the valve to seat properly. 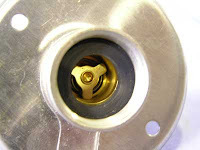 With the pump turned off, try pushing in and allowing the valve to snap back a couple of times. Use the eraser end of a pencil to push it in fully and then release it quickly. Then turn the pump back on and see if it didn’t spring back normally. If it will not seat properly, replace the city water inlet. Of course, you can always simply install a second backflow preventer directly to the outlet of the city water inlet too. I’m a fan of the brass backflow preventer; I would avoid a plastic check valve.